Over the years I've been collecting cat sightings etc I've become aware of around 1 dozen what I would call closequarter/aggressive encounters between humans and cats (I must point out that the cat was not the aggressor in every case). Some of these reports are direct from the witness (and I would class as of high credibility) others are reports from news papers (high possibility of exaggeration of the events). What I would like to do would be to sort the wheat from the chaff. I will list below briefly the dozen or so incidents relating to big cats in Great Britain with rough geographical reference and I would like to hear anything related (other reports or versions of the same incidents) opinions etc or other such encounters you are aware of. I'd also be interested to here peoples assesment of the authenticity of these incidents - hoax, misreporting, genuine etc. Mendip hills - 2 women encountered big cat behaving aggressively and retreated to their car - cat chased the car. Salisbury Plain, two schoolboys, son of minister, flying kite encounter 'playful' puma that chases and grabs kitestring. One boy kicks cat out of fear. Fox trap catches black leopard that forces its way out through the mesh as farmer approaches. Man knocked off bike in country lane by big cat somewhere in Glos. 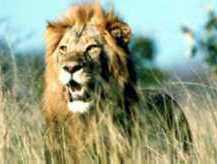 Schoolboys camping on Dartmoor said yesterday that they were attacked by a pair of big cats 10 miles from the area where a lion was reported seen. The animals clawed through a tent in which two 17-year-olds were sleeping at Giant's Basin on the high moor. Two other boys sleeping in tents nearby were also disturbed. " I know of one a few years back (1976) regarding a woman walking in the Highlands who stopped for a breather and on placing out her arm, put her hand on a large black cat that was lying in the cover behind her. No attack, the cat just was startled and took off, although was not as startled as the lady. A Gravesend man was attacked in February 2002 by a Lynx (possibly Eurasian or maybe a Caracal). He saw the cat with a rabbit in its mouth and approached the cat which swiped at him, tearing his hand. He reported the incident to the RSPCA and went to the hospital. A similar animal, beige and with markings, has been sighted around the area for the last five years. Kent Big Cat Research has always warned that these cats will only be aggressive if provoked, cornered or injured. Eason, Cassandra, 1997, Miracles, Piatkus, London, pp. 29-30. Both owner and puma suddenly disappeared, 'leaving no address', shortly before the first reports of the 'Beast of Exmoor'. 1997, near Aberystwth, Wales. Three terrified schoolboys told yesterday how they were menaced by a puma as they camped near their village homes. Pals Rhodri Shaw, Rhys Davies and Sion Evans, all 12, heard a noise and saw a silouette of an animal on their tent. Rhodri said: "We thought it was a small cat magnified by moonlight. But when we looked out, we saw this huge black cat 2_ feet tall. We froze as it circled the tent." The lads kept quiet for ten minutes as the puma slunk away into near-by woodland. Then they fled to their homes in Llanrhystud, near Aberystwth, West Wales. January 1998, Garnswllt, near Swansea, Wales. Three schoolboys came face to face with a 'tiger-like' big cat in woods near their village. Mathew Brown and Stweart Palmer, both ten, and Jamie Harris, 11, froze as the orange and black striped animal snarled at them from 10ft away. Fortunately, Mathew's alsation Tessa started barking furiously and the cat loped off into the woods. The boys raced back to their homes in Garnswilt, near Swansea, to report it. Yesterday a police helicopter scoured the woods without success. Mathew said: "It had a big head and its fur was hanging loose from its body. It looked wet through and hungry." Experts at London Zoo were last night studying pictures of the beast's five-inch wide footprints. Daily Mail: 14 th January, 1998.